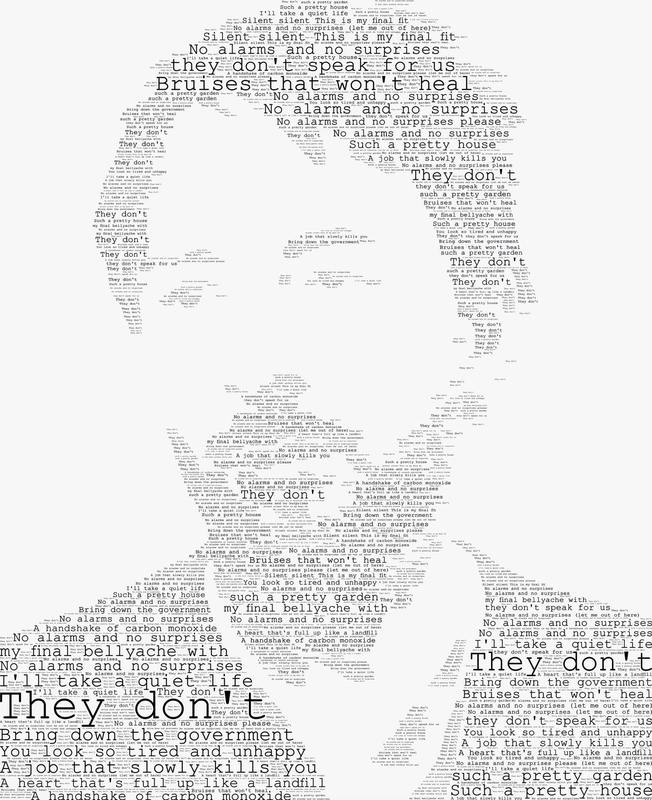 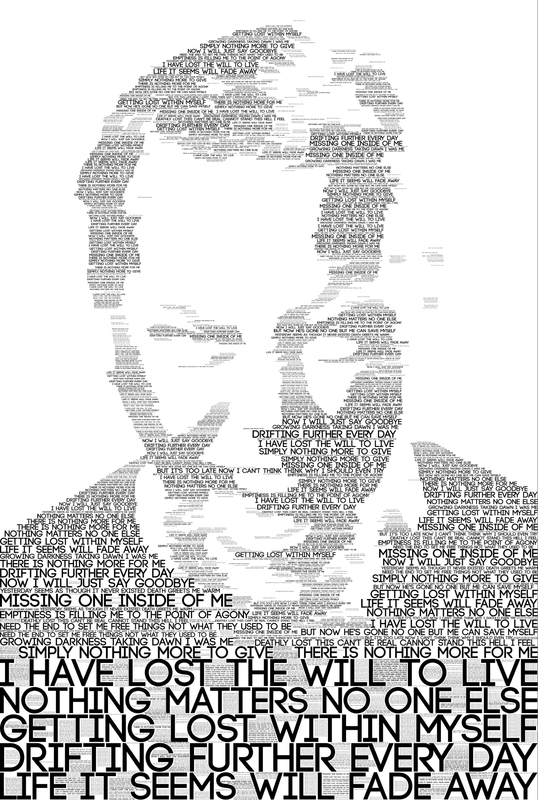 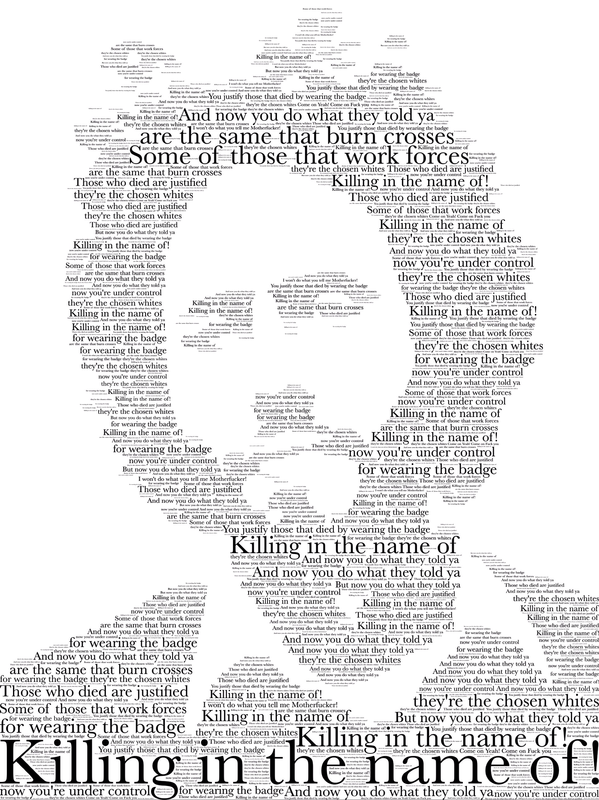 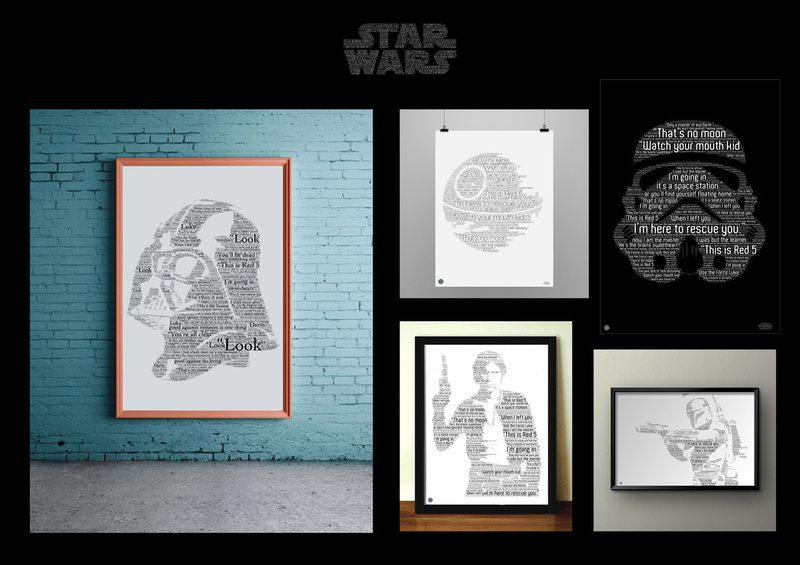 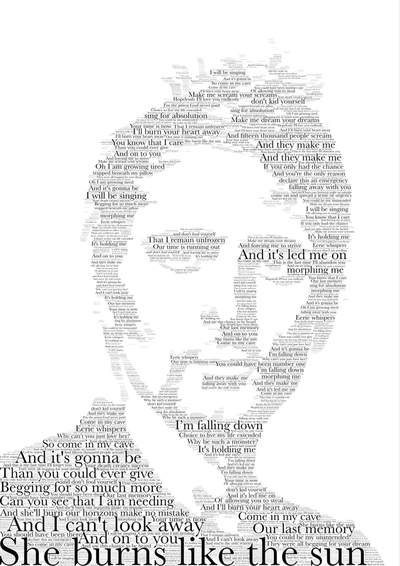 Pretty much any shape or person, whether they are a celebrity, singer, actor, actress or a member of your family made into a typography portrait. 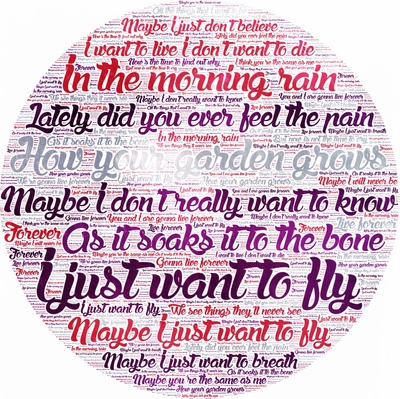 Using lyrics, quotes, poems, speeches or lists of memorable moments in your life, carefully constructed into an artwork made to order. 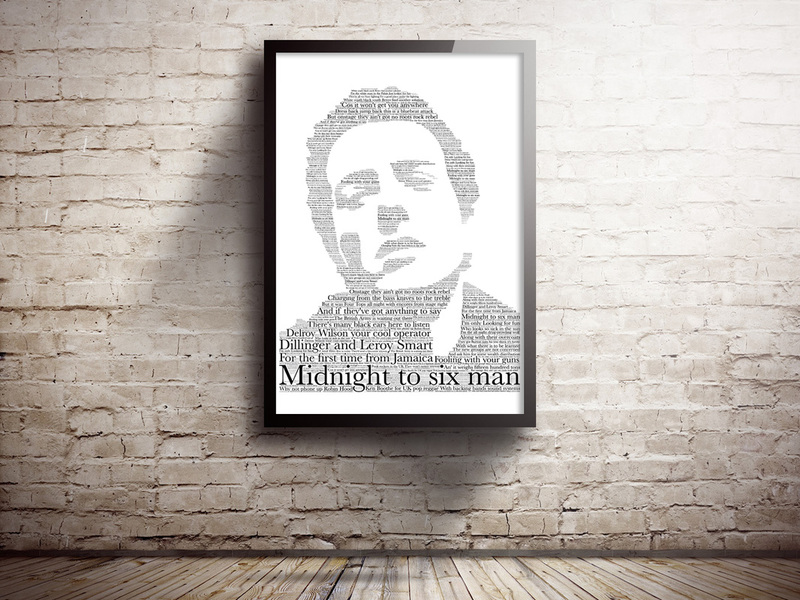 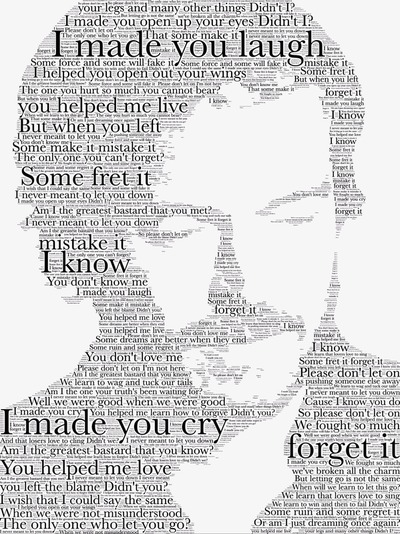 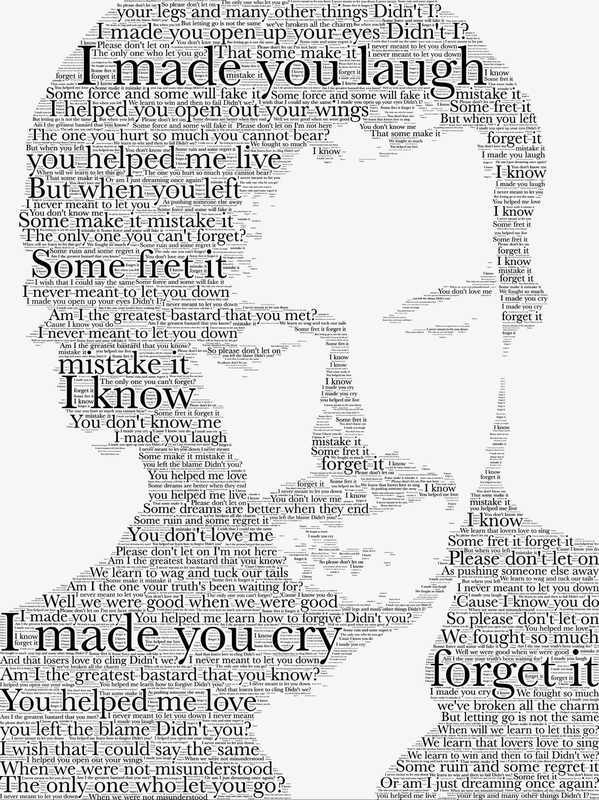 ​or get your favourite singer made from your favourite song. 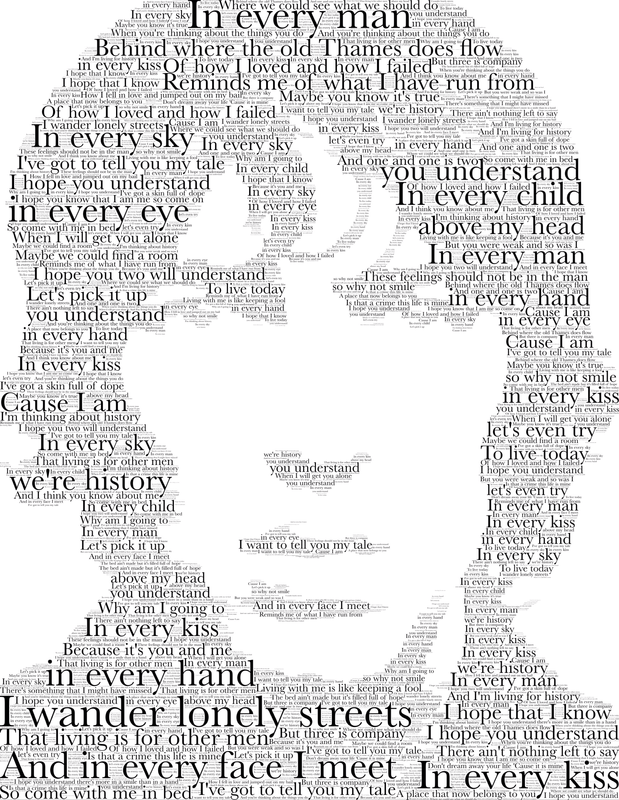 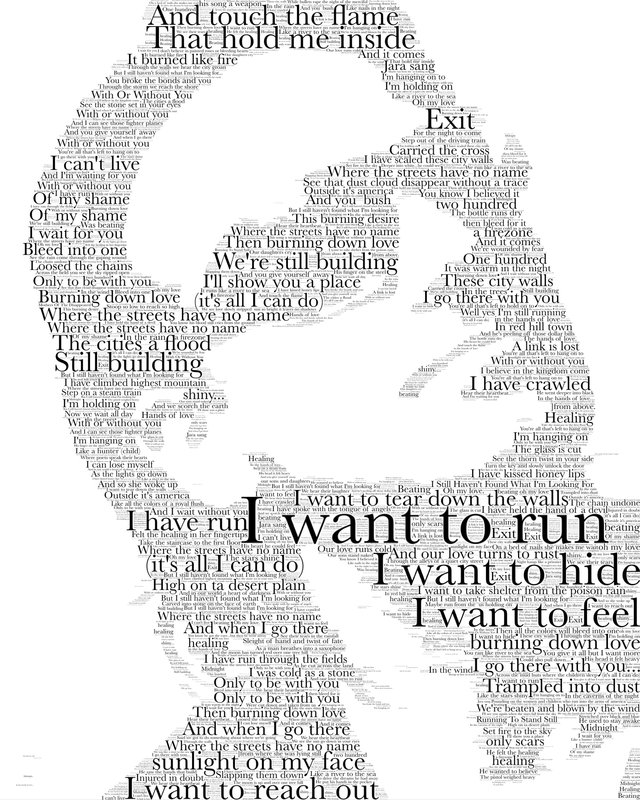 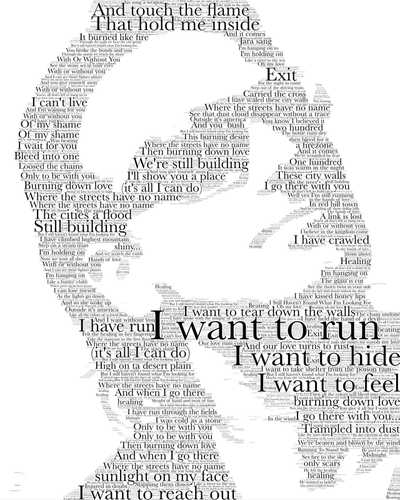 Liam Gallagher, made using the lyrics from Live Forever by Oasis. Kate Bush, made using Hounds Of Love and Noel Gallagher using Don't Look Back In Anger. Bond. 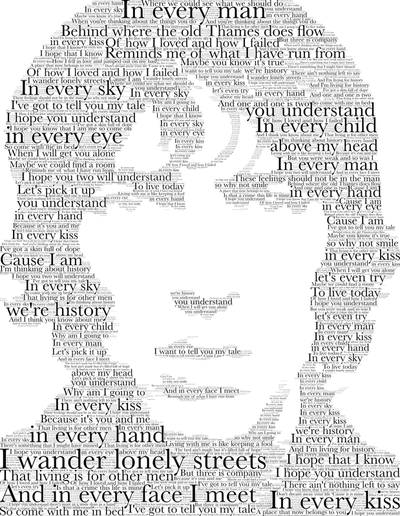 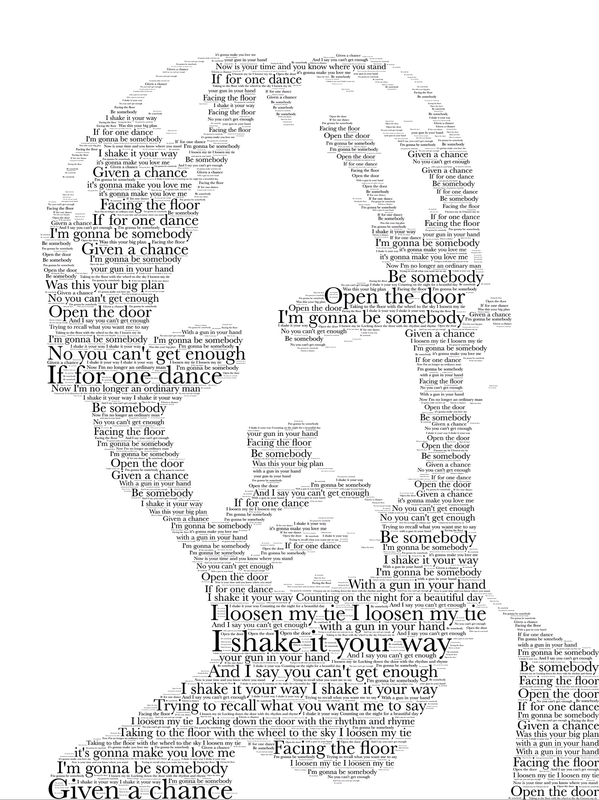 Made using quotes from Spectre and Ian Brown made with Love Spreads by The Stone Roses. Seen something on Twitter? 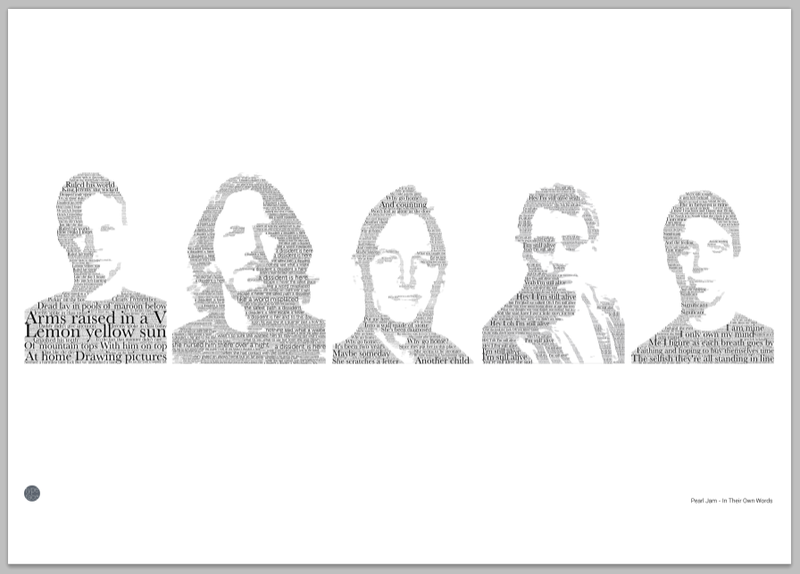 All those designs are available too, just drop me a message through the Buy One tab above and we can arrange an order. 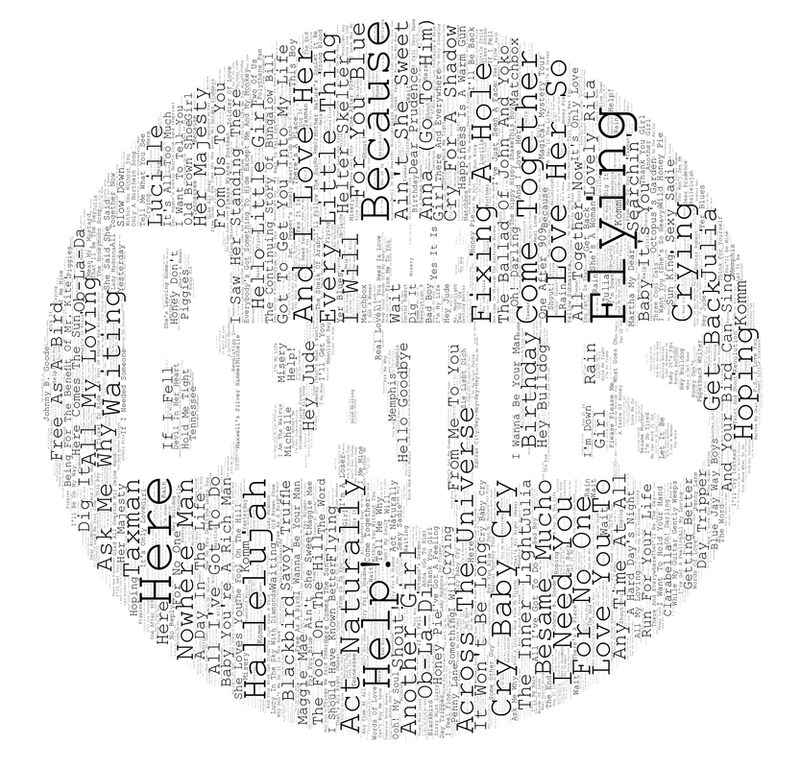 Got an idea for a TypeFace? 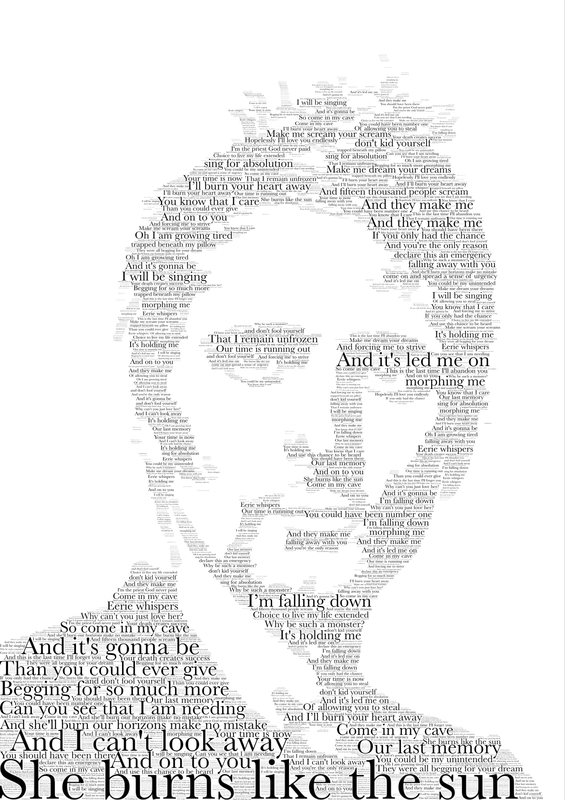 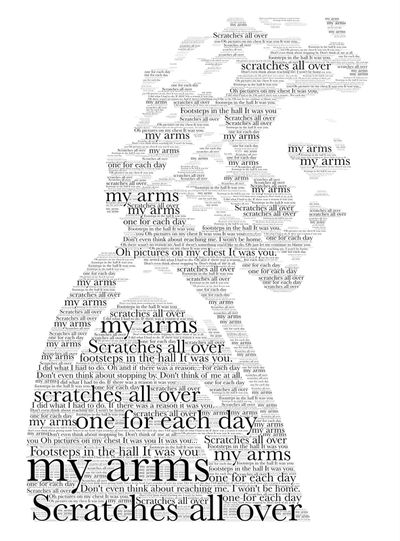 A movie character, singer or even a family member made from their favourite song or film quotes feel free to contact me through the Buy One tab above. 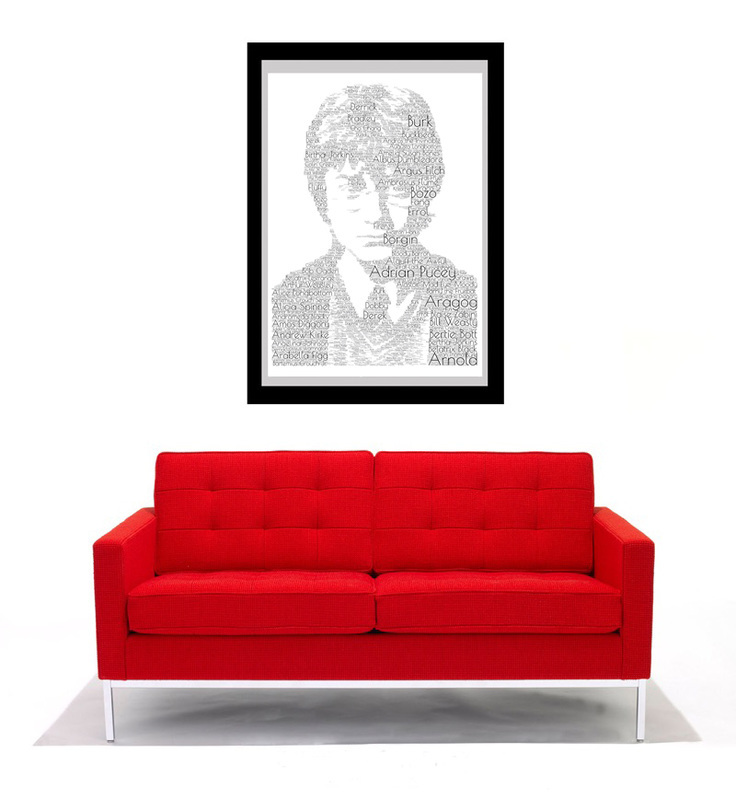 Above is an A1 print of Harry Potter made using every character from the novels. 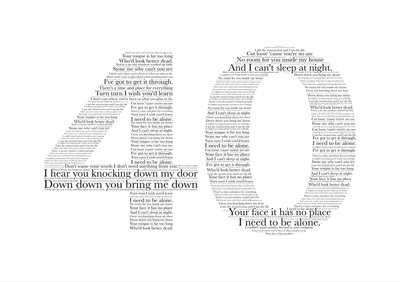 Back To The Future. 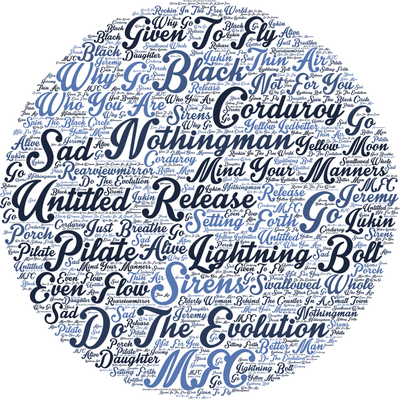 The Delorean time machine and Marty made using quotes from the movie trilogy. 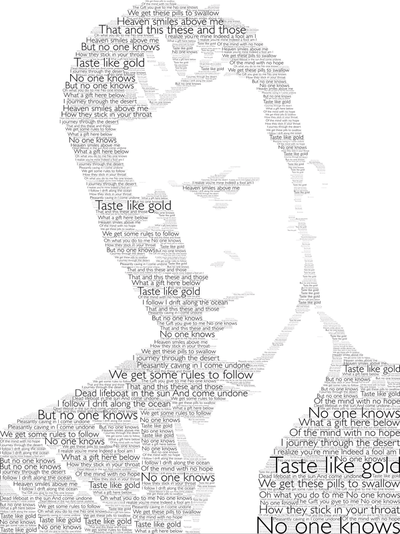 Royal Blood, made using the lyrics from Little Monster and Blood Hands. 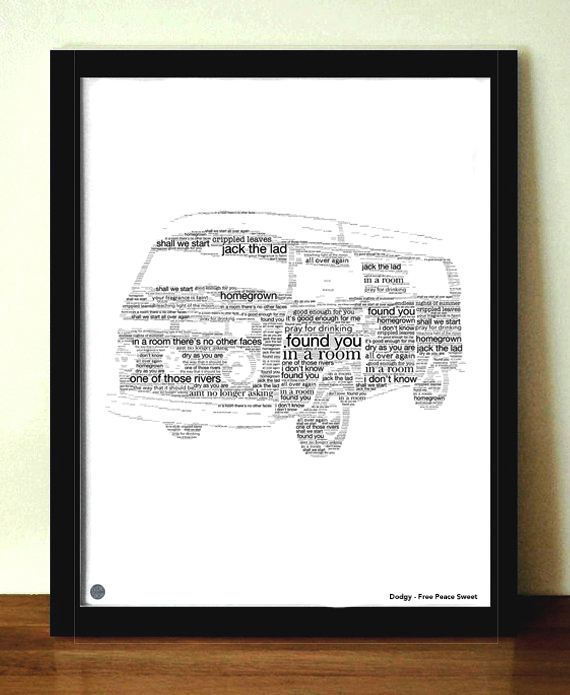 ​To the left is Dodgy, Free Peace Sweet as a camper van. To the right, the Ghostbusters logo made entirely from movie quotes. 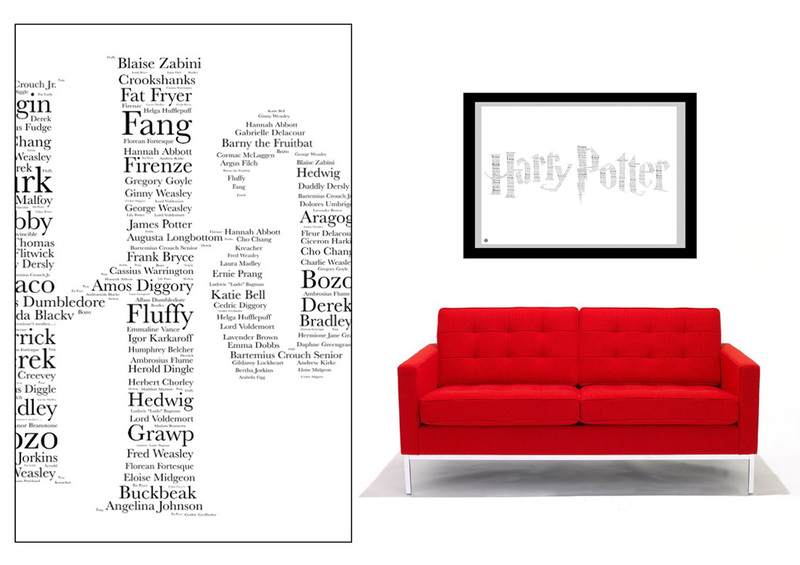 Above is a print and close-up of the Harry Potter logo made using every character name from all the Potter novels. The Beatles. 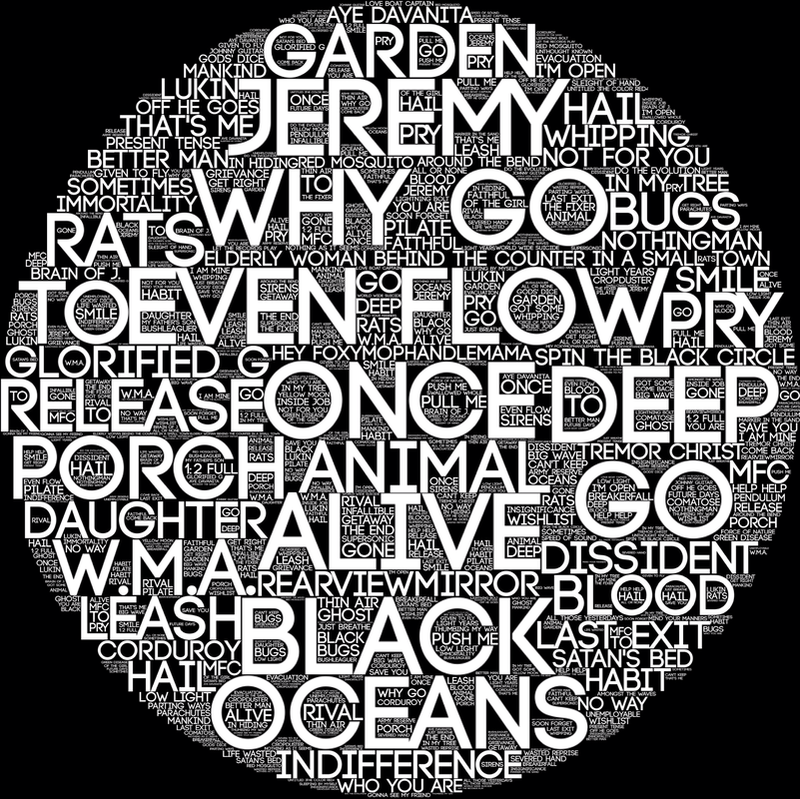 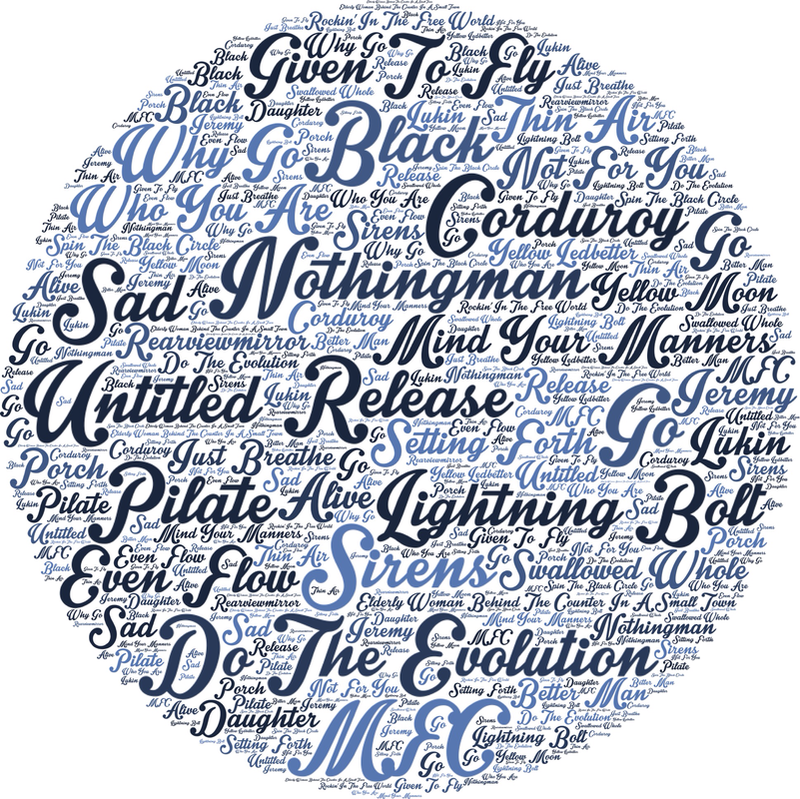 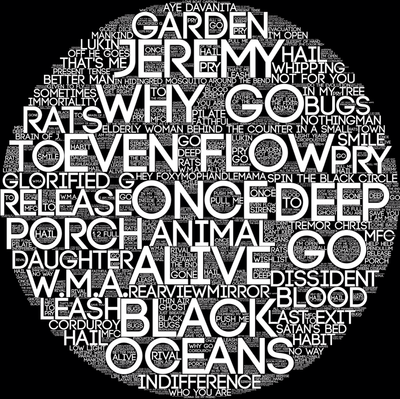 Made using the name of EVERY song they ever recorded and The Eagles made using Hotel California.